GuthrieAmerica Story: Kevin Craft — Go Win with Heady! My family's first Territorial Christmas! It was postponed one weekend due to ice/snow. As you know, it is always the weekend after Thanksgiving and we were in Louisiana for our annual family reunion. Since it was postponed to the next weekend, we were able to attend. The parade, carol singing in the streets, hot chocolate and lighting of the tree was like something you would see in an old black and white Christmas movie. At that moment, I knew I had made the best decision moving my family to Guthrie to start my business. We haven't missed a parade since! Being a part of the community. Being a business owner in Guthrie has giving me the ability to give back and actually see the difference. Being on the YMCA Council and being a mentor in the We Shake Hands program, I've been able to witness first hand how the community thrives with hands on volunteering. Having the young men from the We Shake Hands program come up to me, remember me, shake my hand and say thanks has been a true blessing. Missy's! They should be a national landmark! A community of business owners and citizens that truly love their city! It is evident every day. 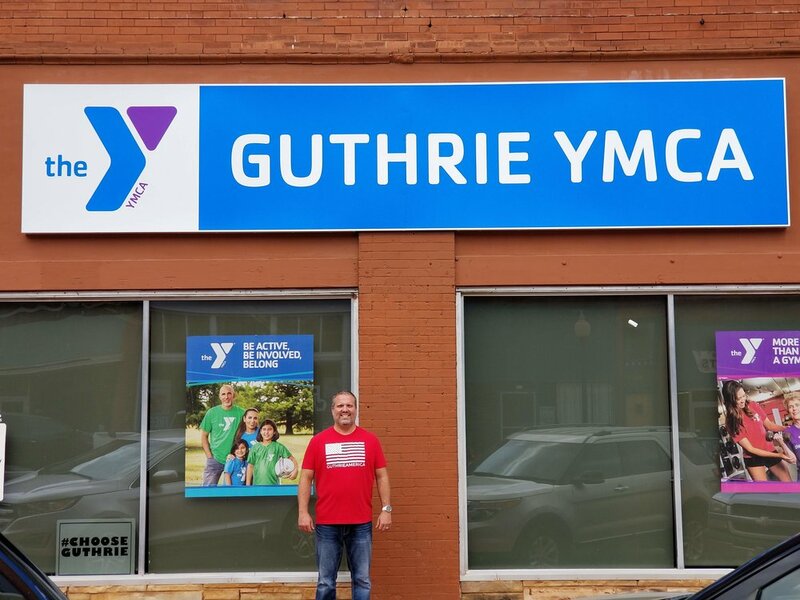 Just come with me to a Rotary, Chamber, YMCA or any other civic organization and the pride of being in Guthrie is apparent! No. But that hasn't stopped me from being a GHS booster, advertiser, and supporter of this great school district and athletic programs! Kevin Craft - State Farm and I have been there 3 years. My good friend Heady at the first Chamber meeting I attended. It was his first day as Chamber president. I'm proud to be a Guthrie American! I feel it symbolizes the strength in numbers our community can obtain if we take pride in our historic town! I'm a big fan of Missy's. It's a great place to eat and enjoy friends. I also like working out with friends at the YMCA. It does my heart good being involved in local organizations that play a major role in keeping Guthrie great! How would you define what it means when you hear or say COMMUNITY WINS? : More involved the citizens are in their community, the greater chance the community thrives and provides a great culture for the next generations. My wife, Hannah. She has been the rock in this endeavor to move here. Her faith in God that his plan was for us to set up roots in this community has been a true blessing to me and my 2 kids. My team member, Angela. She has been beside me since I opened up my doors 3 years ago. She had no idea who I was or what was in store for her. But she has stood strong and helped me grow my agency and provide amazing service to our customers. Choose Guthrie means to not only shop in Guthrie, but to be a positive contributor to Guthrie... mind, body and spirit.